While the main focus of this site is Kamikochi and the City of Matsumoto in whose jurisdiction it lies, there are many things to do and places to visit in the larger area. 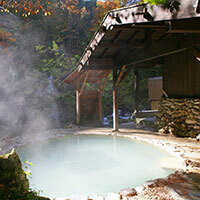 The popular route between Takayama in Gifu and Matsumoto is dotted with wonderful locations like Shirakawa-go, Shirahone Hot Springs, and Norikura Highlands, each of which would be a potential trip highlight in itself. 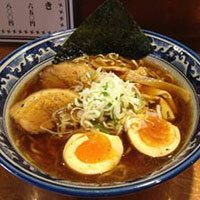 And that’s before you consider other appealing options that can be covered via day trips from Matsumoto, such as the Daio Wasabi Farm and the scenic Kiso Valley. 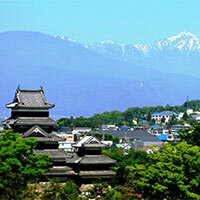 Boasting one of Japan’s finest extant castles and proximity to the Northern Alps, Matsumoto is a recommended destination for anyone passing through central Japan. 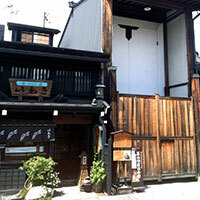 The compact nature of the city makes it easy to explore in a day or two, with highlights including historic Nakamachi Street, the quaint hovels of Nawate Street, and also Kaichi School, famed as the first Western-style school in Japan. But the highlight of any visit is Matsumoto Castle. Unusually for a building of its kind, the five-story donjon is an original construction that has survived intact for over 500 years thanks to careful repair and restoration efforts. Matsumoto Castle is also a sublime example of artistry and fortitude in the field of Japanese castle building and a must-see for appreciators of architecture. Be sure to explore the castle interior as well. Matsumoto also boasts many restaurants and izakaya where you can sample such local delicacies as sanzoku-yaki, a savory variation on karaage (fried chicken), with a distinctive dash of garlic. Art enthusiasts will also want to check out the Matsumoto City Art Museum, home to a large collection of work by Yayoi Kusama, a native to the area who also happens to be one of the world’s most popular visual artists. 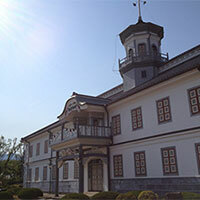 For something a little more traditional, the Japan Ukiyo-e Museum is a short taxi ride away from Matsumoto Station’s Alps Exit. 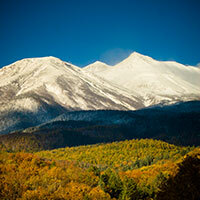 At the heart of Norikura Kogen (Highland) is a large plateau spreading to the east from Mt. Norikura (3,026 m), which is the 10th highest mountain in Japan. It is also home to the highest highway in Japan at 2,700 m (the highway is open to busses and taxies during the summer and fall). 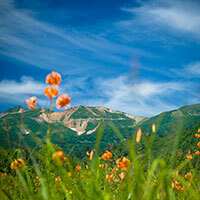 There are many beautiful sights to see in Norikura Highlands like waterfalls, flowers, and caldera lakes. Ushidome-ike is a beautiful pond, which gives you one of the best views of the mountains especially on a breathless morning or calm sunset. You can enjoy various activities like hiking, biking, jogging, mountain climbing, or just relaxing in the cool alpine air. The annual “Tenku Marathon” and the “All Japan Norikura Mountain Cycling” events are held in June and August each year and draw a great crowd of people out to enjoy the mountains. 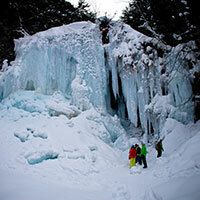 You can also access Kamikochi from Norikura Kogen via Sawando Bus Terminal. 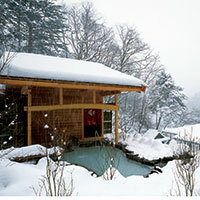 Conveniently located on the fringes of the Chubu Sangaku National Park, Shirahone Hot Springs offers a unique version of the onsen experienc,e. 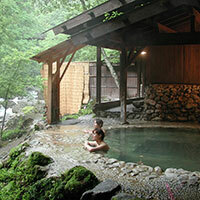 The hot springs’ milky white water is nearly opaque allowing mixed gender bathing in designated areas. Not just a cosmetic feature, the water’s hue displays its unusual chemical composition, with a high concentration of minerals traditionally deemed medicinal adding to the appeal. If you can manage to book a room at one of the area’s ryokan, it will certainly be an unforgettable initiation into onsen culture. Just up the tracks from Matsumoto, the City of Azumino is actually an agglomeration of older towns, including Hotaka, Toyoshina, and Misato. 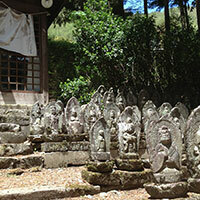 Hotaka is home to the Hotaka Shrine, which also has a branch at Myojin Pond in Kamikochi. 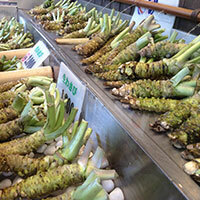 The prime tourist destination in the area is the Daio Wasabi Farm, a splendid stretch of inundated farmland that operates year round, supplying some of Japan’s most flavorful wasabi. 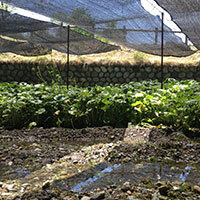 The crystal clear waters used to irrigate the crops come from the Azusa River (link to article) whose source is none other than melted snow from the peaks of the Hotaka Mountains. 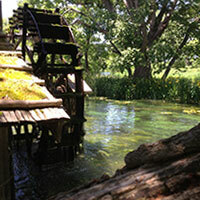 The farm may be of interest to film buffs who remember it as the location of a key scene in Kurosawa’s “Dreams.” You can buy high-quality wasabi onsite and might even wish to sample the wasabi flavored beer and ice cream! 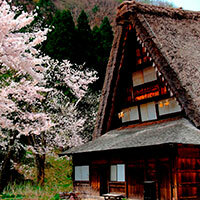 The Nakasendo was one of the historically important routes linking Tokyo and Kyoto during the Edo Period. These roads served travelers and merchants as well as providing a means to transport mail along Japan’s increasingly vital postal routes. Today, key locations along the Nakasendo are known to people all over the world due to their appearance in famous ukiyo-e prints by artists such as Hiroshige. Visitors staying in Matsumoto can experience some of the route’s old-world charm by taking a daytrip to Narai Post Town in the Shiojiri area or Kiso a little further south. Narai Post Town then and now. Note how well the buildings are preserved. 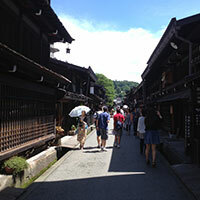 With a large number of heritage buildings preserved with loving care, Kiso and Narai Post Town offer a taste of old Japan in the modern day. In addition, traditional handicrafts such as lacquerware and fine combs have remained sought after items in local shops and make nice gifts with an elegant simplicity that belies more usual souvenirs. 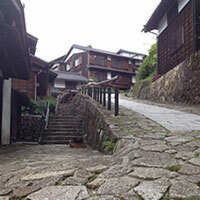 The old postal routes are a popular choice for hikes of varying lengths as are the nature trails of the Kiso Valley. Either way, if you’re looking for something different, you’ve come to the right place. Calling Takayama the “little Kyoto” of the Hida area is a little unfair given how unique and appealing the city is in its own right. 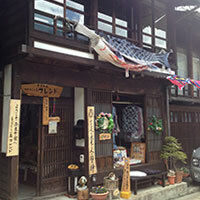 Rich in history and brimming with local culture, Takayama is home to many well-preserved heritage buildings, including shops that have been doing business continuously for centuries. Of particular interest to visiting gourmands is the local specialty Hidagyu, high-quality beef that is produced locally and served up in a wide variety of dishes so tender and flavorful that they linger in the memory long after they have vanished from the pallet. Travelers who time their visits appropriately might also have the chance to enjoy one of Takayama’s two major festival processions in the spring and autumn. Traditional puppetry displays and magnificent festival floats are among the main attractions of these popular events. A registered UNESCO heritage site, Shirakawa-go is famed for the many well-preserved gassho-zukuri (“praying hands”) buildings that create the town’s richly evocative setting. 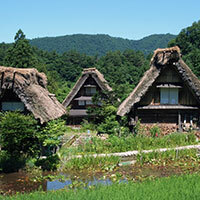 Whereas well-trodden destinations like Kyoto offer historic locations embedded in a modern city, Shirakawa-go feels more like a pocket of living historic, frozen in time and several steps removed from contemporary Japan. The rusticity of traditional inns and farmhouses draws from an older, simpler time and as such allows a taste of old Japan in the modern age. 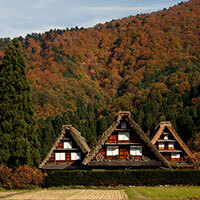 Shirakawa-go is a delight to visit year round and an ideal alternative to more typical tourist destinations.